Involved in a Motorcycle Accident in or Around Ontario, CA? Have you or a loved one been involved in a motorcycle accident in or around the Ontario area recently? If so, there are some steps that you need to take immediately. First and foremost, you are going to want to document the accident in as much detail as you possibly can. All the records you can create — such as photographic evidence, statements from witnesses, and a report from the police — will come in handy during any potential settlement or litigation that occurs. Beyond that, you should hire an attorney who can advocate for you. You’ll need an attorney because it could become necessary for you to negotiate a settlement when the opposing party is arguing liability. You’ll need to prove liability to get repaid for any damages that you’ve incurred. Do You Need an Ontario Motorcycle Accident Attorney? Although some motorcycle accidents can settle easily, this is not always the case. Insurance companies for each party communicate with one another, determine liability and then handle the damage payouts between themselves. Sometimes additional assistance is needed, and attorneys step in and help with settlements, or litigation if one party is denying culpability. If an insurance company is refusing to pay because a party involved in the accident is denying that they are responsible for your motorcycle accident, it may be necessary for you to seek counsel from an attorney. A motorcycle accident understands the ins and outs of motorcycle law, and how it differs from other types of vehicle laws. 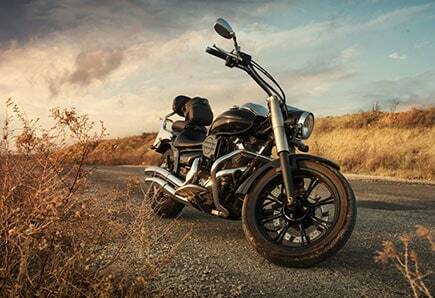 Motorcycle laws are more intricate than the regular vehicle laws, and so your motorcycle law attorney will put you ahead of the curve when it comes to securing a favorable outcome. One of the best things that you can do is at least consult with your attorney so that you can figure out what your legal rights are, gain a better understanding of the motorcycle laws that pertain to your case, and find out whether or not you have a case following your motorcycle accident. If you believe that you will require additional assistance in settling your case beyond just the insurance settlement, then it will benefit you to hire an Ontario motorcycle accident attorney who can advocate for you. Having an attorney on your side is vital because it means having someone who can give you legal advice and assistance at all times, and answer your questions whenever you have them. If you’re ready to move forward with your case and have your legal issues answered once and for all, give Inland Empire Motorcycle Law a call at (951) 290-3664. Learn more about what we can do for you.